Team Roles focus on behaviours. If our interest were confined to personality, it could be argued that no one else could know or understand us better than we know ourselves. What matters in the workplace is what managers, colleagues and subordinates think, since an individual is likely to be assigned tasks on that basis. For a broader view of how an individual really is, and how others see them, Observer Assessments are desirable. They can indicate others’ perceptions. They can help modify an individual’s overall Team Roles to give a more accurate picture of how they come across in the workplace – in short, how they behave at work. Who should complete the Observer Assessments (OA)? The OA should be completed by those who work or have worked recently with the person they are asked to assess. For a full report, a minimum of four Observers is required, but six is preferable. Ideally, a set of observers should be chosen from among colleagues, reports and managers who are familiar with the individual’s behaviour and know the individual well in a work environment. When completing profiles, candidates may choose their own observers or the allocation can be made by the facilitator or trainer. 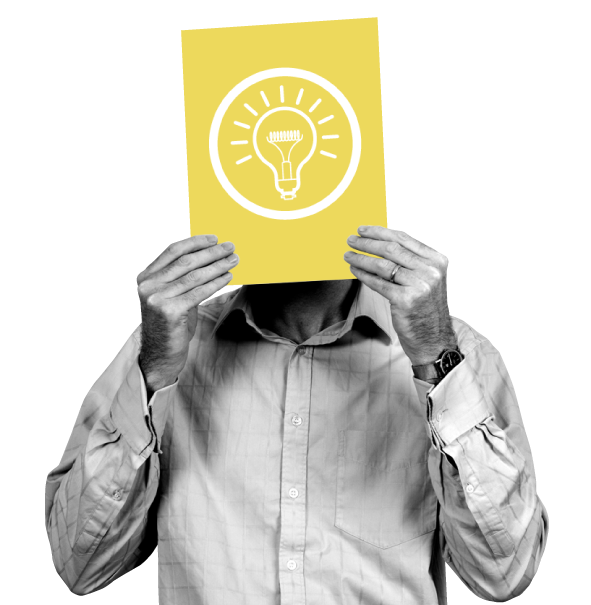 The OA is designed to inform and broaden the Self-Perception profile and should take 5-10 minutes to complete. What does the Observer Assessment involve? The OA consists of a list of adjectives. 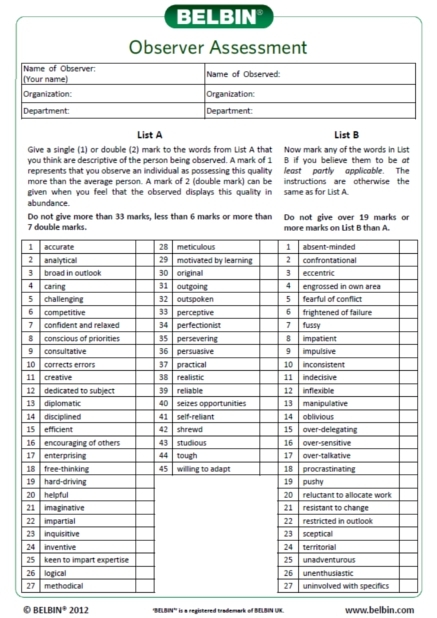 The checklist of adjectives – 45 positive and 27 negative – is used to provide an independent assessment of Team Role behaviour, with each word relating to a particular role. Each assessment modifies the Team Role status of the observed candidate to produce an overall Team Role profile. When completing the OA, observers are free to tick as many items as they think are applicable, up to a set limit. However, try to ensure that no more than half of the words are ticked, since a tick indicates that the characteristic in question is more conspicuous in the individual concerned than in the average person. If observers consider the candidate has a particular characteristic in abundance, then the word should receive two ticks. If there is any doubt of the word’s relevance to the individual, it is better not to tick it at all. If an Observer Assessment is completed in an indiscriminate manner, or if an observer shows excessive prejudice, either in favour of, or against, the observed, Interplace will not accept the assessment.